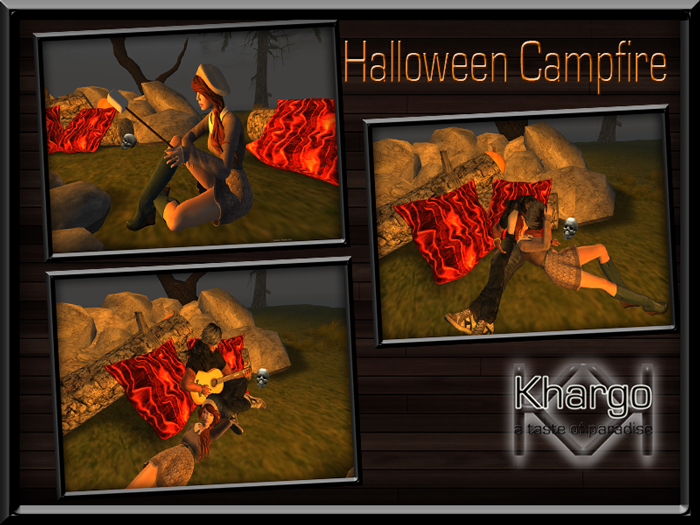 Khargo: Furniture and Design: Getting fired up for Halloween! Getting fired up for Halloween! As Autumn proceeds and October approaches, here at Khargo we're beginning to get excited about Halloween! We recently changed out our Seasons store to Halloween and to celebrate this, we've made our Halloween Campfire. Perfect for boils and ghouls to gather around and tell spooky stories. - 4 spots to sit, 2 single seats with 8 animations each and 2 couple spots with 7 single animations and 35 couple animations. Tell your favourite ghost stories by the light of the flickering fire. 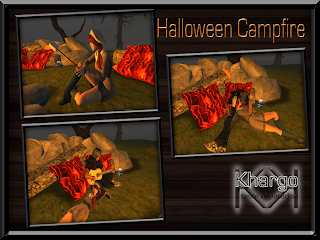 Toast marshmallows, sing campfire songs to keep the bogie man away or just chill out with your loved one - the Halloween Campfire has animations to suit. 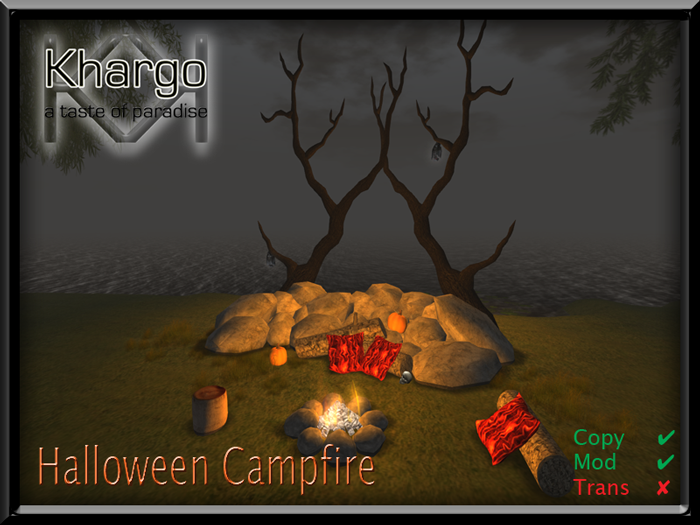 Check out this awesome campfire in world at our Halloween store or on the marketplace, or for more pics visit our Flickr Set. Thank you to Aika Nirvana and Carlos Firehawk who kindly let us camp out on their beautiful vacant lots in Altin Isle to make the pictures. If you're looking for a new home in a tranqil environment then check them out here. Khargo Tip Jars: Halloween Pumpkin Epidemic!